We understands kids are kids, and accidents happen. Kids don't intend to break their iPods but sometimes the device slips out of their hand during playing. Worry no more, we are here to help. choose from our repair services below and we can fix that iPod in no time. All repairs come with a 1 Year warranty on parts and labor. We have been on eBay for over 15 years under the userid "VOLUMEMERCHANT", and rank at the top in search results for Apple iPhones repairs and iPods repairs. We have also achieved and maintained an eBay Top Seller rating for 7 consecutive years. 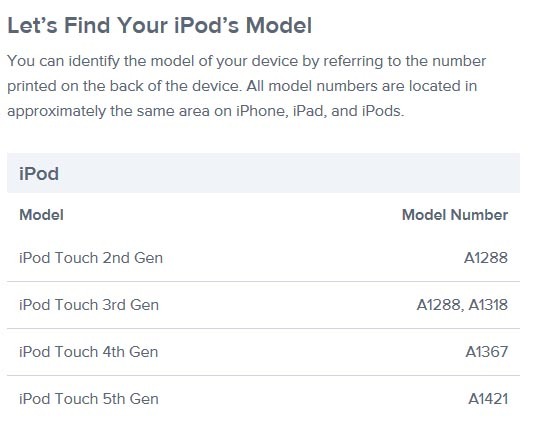 Bring your device to the iPod Repair Experts! We offer repairs for iPod screens, iPod batterys, Power buttons, Volume Buttons and Home buttons. Please select from our services below, or click on Other to send us a request.